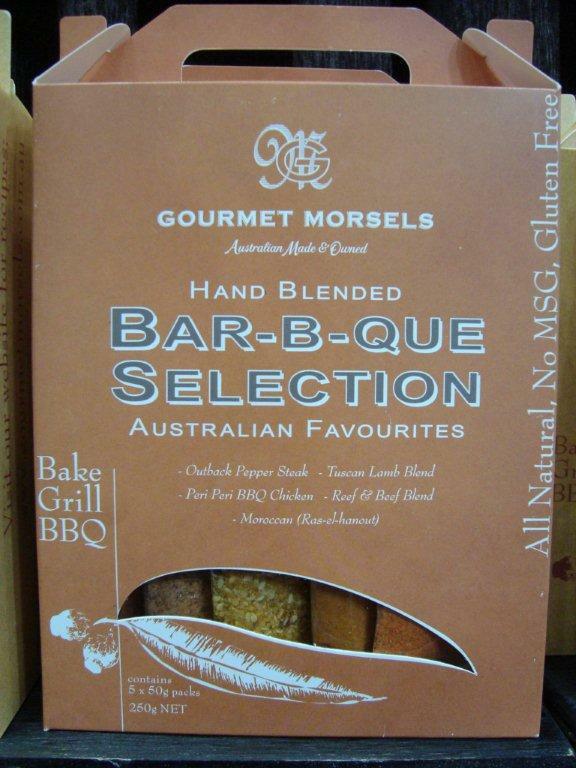 The five blends have been carefully selected to suit the Aussie BBQ. The Outback Pepper Steak is a peppery blend suitable as a rub on all lamb, chicken, pork and beef meats. 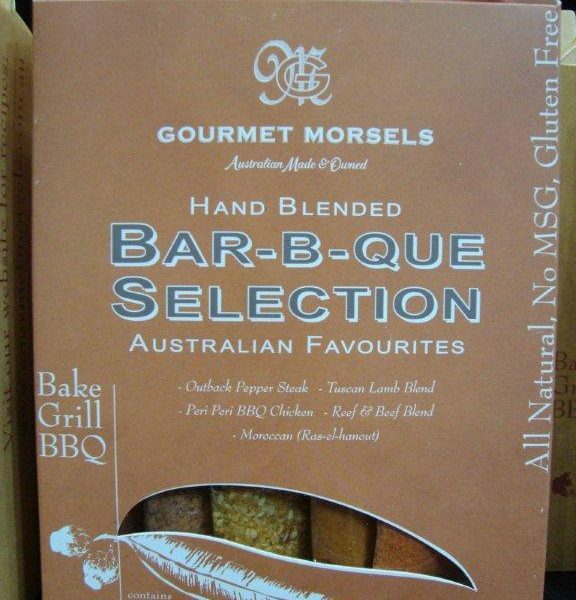 Simply rub on your choice of meat and grill on a hot bbq. The Tuscan Lamb Blend is great on lamb chops or mixed into mince meat for great tasting hamburgers. If you like Mediterranean flavours, you will love this blend. The Peri Peri BBQ Chicken is true Portuguese spicy flavours. Rub into chicken skewers, fish fillets or vegetables before you grill on a hot bbq. 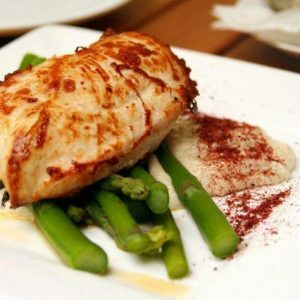 Moroccan (ras-el-hanout) has authentic, sweet Middle Eastern flavours. In the Box there is a great recipe card with lots of recipe ideas inlcuding a Moroccan Vegetable Salad recipe.  The Reef and Beef Dukkah is a blend of Lemon Myrtle, Dill and exotic spices. 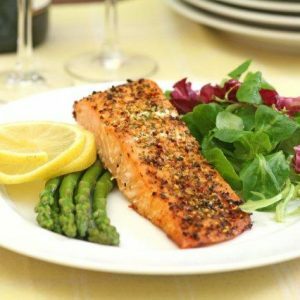 Great used as a crust on fish or sprinkled into a garden salad. 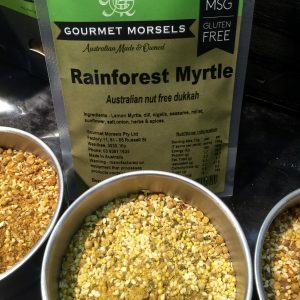 How to serve Reef and Beef Dukkah? Dukkah is served in ramekins with olive oil and crusty bread. Simply place some dukkah in one ramekin, good quality Australian Olive Oil in another ramekin and crusty bread cubes in the third ramekin. Dip you peice of bread into the olive and then coat with dukkah.